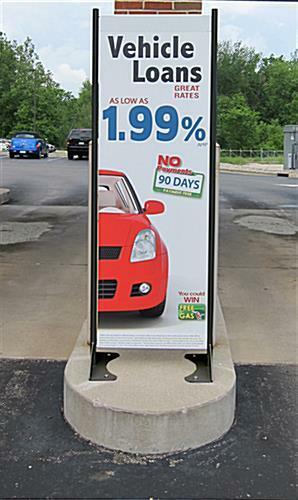 This 18” x 72” black permanent banner stand allows you to move your advertising displays outdoors. 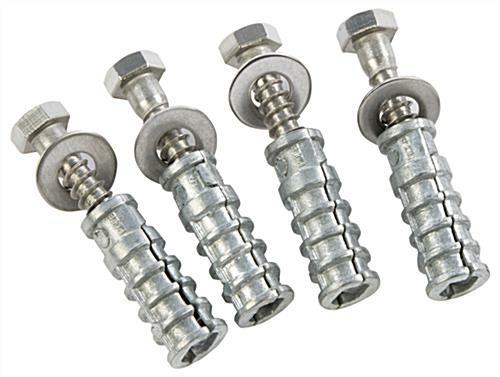 Mountable to concrete, wood or any other hard surface, the large format marketing fixture uses a spring-loaded tension bar to keep its vinyl flag tightly in place. 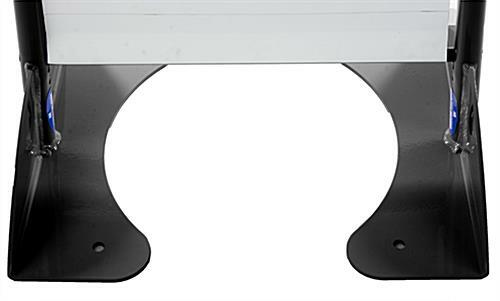 Download the template below and submit your own custom graphics to be printed on one side of the vinyl. 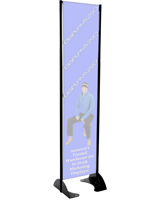 Each banner stand has a nice powder coated finish for a modern and subtle look. 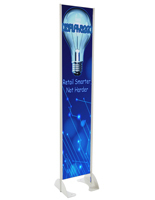 The fixture’s large format will help to draw attention maximum attention to your display. 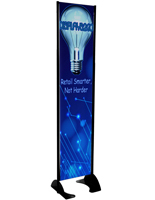 Though specifically designed for mounting outdoors, the free-standing graphics advertising solution can also be brought inside for tradeshows, expos, or retail environments. 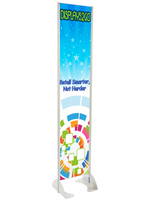 If you’ve got a message or brand you want people to see, use a banner stand for versatile advertising placement!